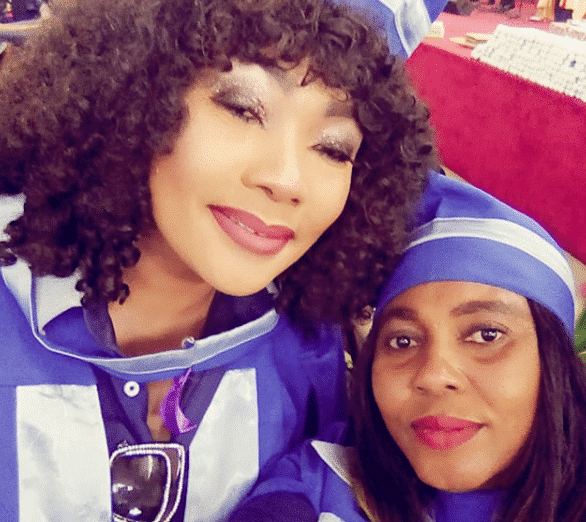 Actress Eucharia Anunobi, graduated from the Redeemed Christian Church of God’s School of Disciples last Sunday February 25th. 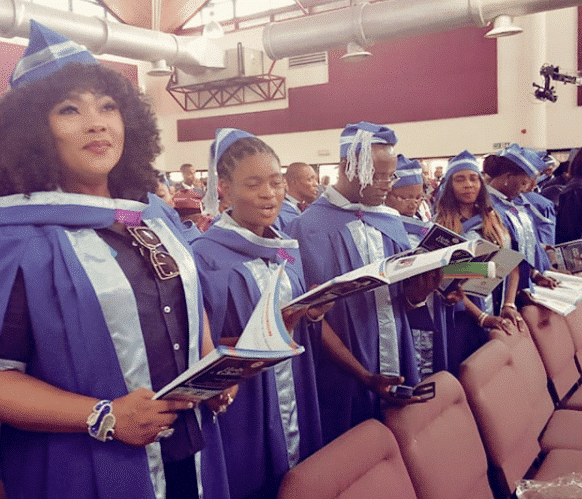 So Eucharia Anunobi shared a message on her Instagram page this morning where she encouraged everyone to go after their dreams despite any unfortunate incident. According to her, she was burying her son, Raymond, while taking her examinations. Recall that in September last year, Eucharia buried her only child, Raymond, who died in August. 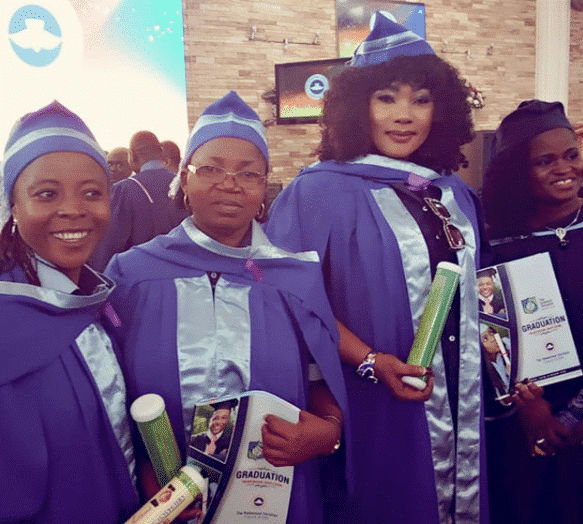 Beloved ones , join me and celebrate JESUS CHRIST , who saw me through the completion of the Redeemers School of Disciples course 2017 / 2018 session . 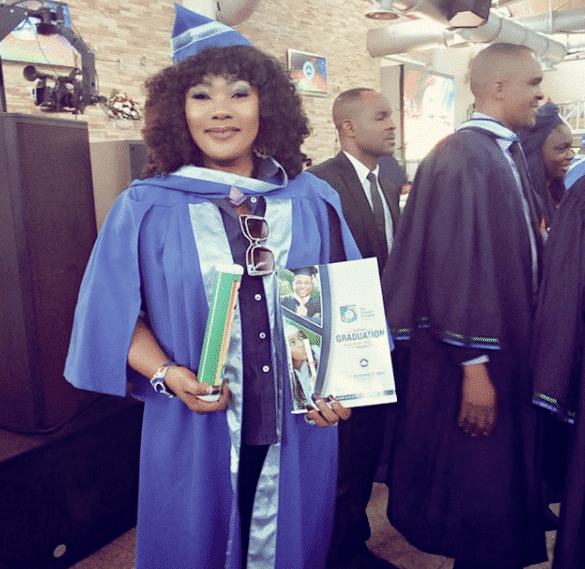 The devil wanted to stop me from finishing , for my son died while I still had four subjects / papers to sit for , but thanks to God who had promised that in these things am more than a conqueror ( Romans 8 : 37 ) . 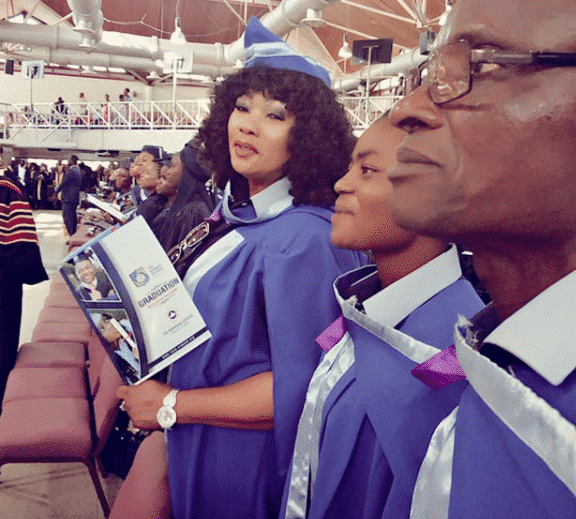 I graduated with 900 ( nine hundred ) other disciples last Sunday 25th February 2018 . Please help me hala : JESUS NA YOU BE OGA , JESUS NA YOU BE OGA ,ALL OTHER gods NA SO YEYE , EVERY OTHER god NA SO SO YEYE . If you keep looking at the mountain, it becomes overwhelming , go to the base and start climbing , don’t look down and don’t look up , just keep at it , before you know it , you are at the top . If I could finish my exams while burying my son , what is stopping you from completing your studies . I prophesy as commanded may all satanic agenda put in place to stagnate your destiny be truncated now in JESUS name”. 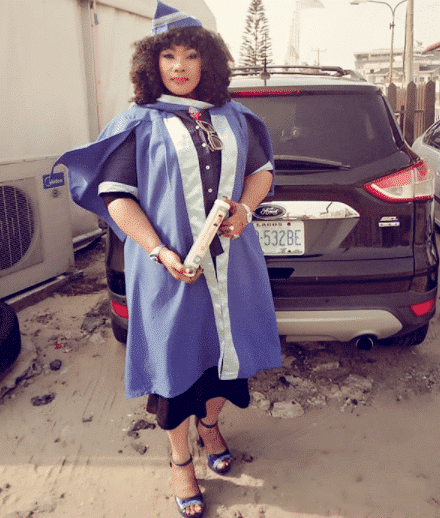 Recall that some days ago the actress revealed that her son Rayomd, who died from sickle cell complications last year, was in fact accidently killed by a doctor. “I have not removed my mourning clothes, neither have I opened my hair since the death of my son. I have only been wearing white since his demise and the reason I have maintained this is because my son was a good boy to me, but he was mistakenly killed by the doctor. My son was not supposed to die. He was a very wonderful child. I decided to honor him by marking his 16th birthday posthumously the way we normally do. During our birthdays, we usually visited the motherless babies and show them love by donating some clothes and food to them. This year would not be any different from the previous ones we have celebrated. I am going to do it the way my son and I had always done it and I would give out some of his personal effects. Normally, when someone dies, you do not touch their things for about a year. For instance, if a man’s wife dies he is not expected to touch her things or dispose of them till after a year.